★Spring Qi Gong Intensive with Joseph Fiala, L.Ac. For both beginners and those who wish to deepen their practice. We will spend a relaxed day together, diving into the fundamentals of Qi Gong as a spiritual-physical practice. We will cover Shaking, Self-massage, Standing & Walking Meditation and learn a form for home practice. Qi Gong (chee-gung), or Qi cultivation, is an ancient Chinese art focusing on physical and spiritual cultivation. There are four facets of classical qi gong: walking, breathing, sound, and stillness. Using these four aspects, one learns how to nourish and strengthen their own life force while building healing power in a daily physical practice. The First Qi Gong form: The 陰陽升降開合功 Yin Yang Sheng Jiang Kai He Gong (Harmonize Yin and Yang, Rising and Sinking, Opening and Closing Work) is often the first form taught in the Jinjing Gong lineage. It is a form constructed around using the basic movements of up and down, in and out, opening and closing to harmonize yin and yang within the body. It is a simple but powerful form appropriate for all ages. 氣功 Qigong II Movement Course. 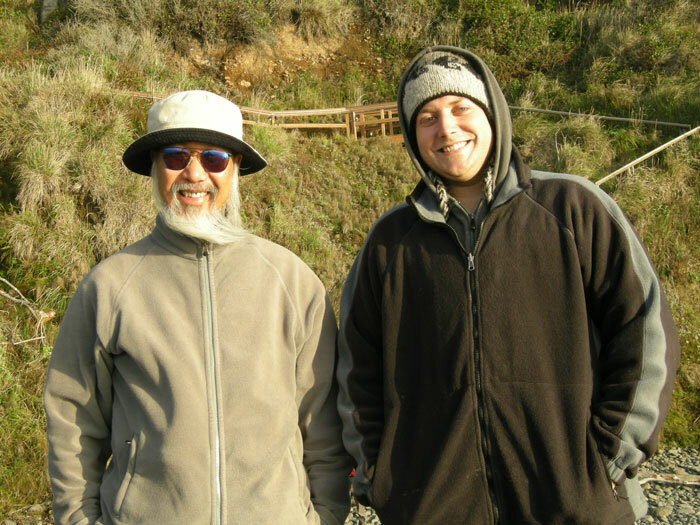 Qi Gong II will lead participants through the second form of the jinjing gong lineage. The proper way to exercise! You'll may work up a sweat, but won't feel drained afterward. Feel rejuvenated and stronger than ever before. This ancient Chinese movement art is a critical component to leading a long and healthy life. A method to tap into your own strength and vitality and increase healing power. Even if you haven't completed Qigong I yet, you are welcome to start with Qigong II. The first two forms are appropriate for beginners, but after that we will get into some more advanced training that will require some prior conditioning with these forms. 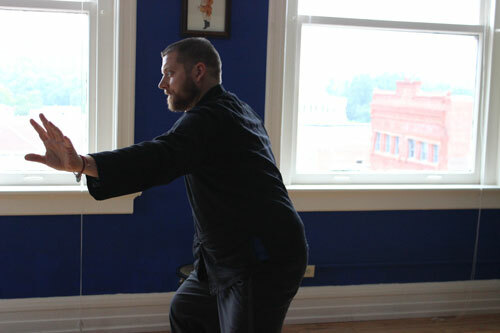 With Qigong II, the form we will learn is called the Jin Jian Gong. 功 "Gong" refers to work, especially work that is strengthening or constructing as you would construct a house. "Jin Jian" here refers to the tendons and ligaments, which this form is focused on building, smoothing and strengthening. This particular style of Qigong originates from the Shaolin monasteries and is focused on improving the health of the organs and physical tissues through transforming the tendinomuscular system. As the health of the body improves, the mind and spirit naturally settles and this can be felt immediately through practice. This form benefits the whole body, but especially concentrates on the kidneys, liver, gallbladder and heart as the building blocks for longevity.